So let’s recap the Iranian Elections: The incumbent Mahmoud Ahmadinejad faces a serious challenge from the slightly more moderate (although thats not saying much) Hossein Mousavi. On election day, based on exit polling, Mousavi declares victory. Then, one hour after an election in which there was an 80% voter turnout, State Officials announced that they had counted enough votes to declare ol’ Mammers had won the election with a whopping 67% of the votes. If you’re going to rig an election, its probably best to try and make it look like a slightly realistic result. Never one to go halves is our Mahmoud. 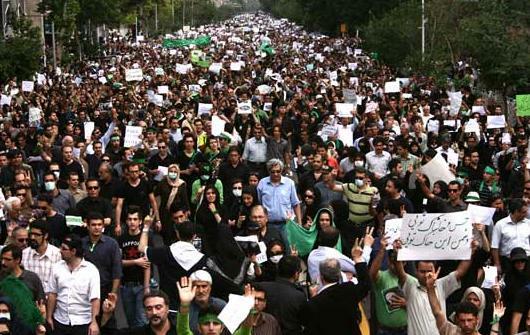 Then things got ugly with Mousavi supporters taking to the streets disputing the results. Fortunately Iran is a country that runs on a hybrid democracy/theocracy system. Everyone gets to vote and feel good about themselves and then the Ayatollah can make a decision on who actually wins, based on the word of God. Ayatollah Ali Khamenei declared that it was his ‘divine assessment’ that Mammers hadn’t cheated and that he had won fair and square. I can't read any of this. It's possible I may have posted a photo of lots of people celebrating the election results. I guess they look pretty mad though. A key rally against Iran’s presidential elections will go ahead – in defiance of Supreme Leader Ayatollah Ali Khamenei – opposition sources say. 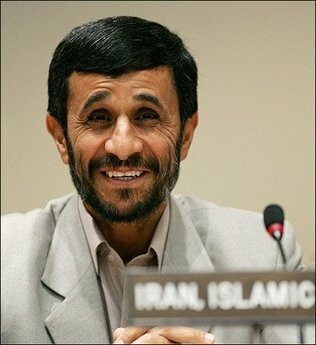 Mr Mousavi later announced he would be making a statement imminently. Police warned they would arrest the leaders of any protest rallies, which they said would be illegal. The warning follows a demand from Ayatollah Khamenei on Friday that street protests should cease. New Clothes. Win. Being Broke. Fail. 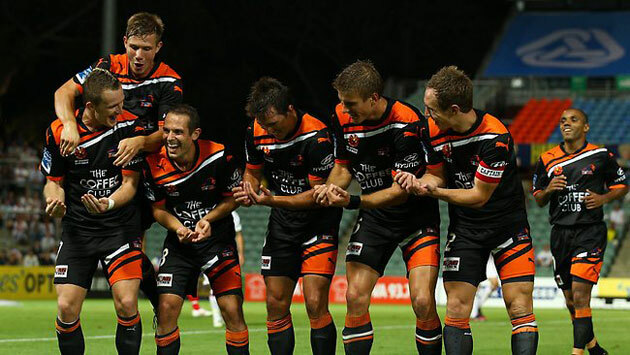 A-League 2011/12 – Round 23 – Oh my god, they killed Gold Coast!